The Lynchburg Hillcats bats were stymied through 8.2 innings Thursday night in a 4-1 loss to the Wilmington Blue Rocks at City Stadium. The Hillcats fall back to a .500 overall record for the first time since April 23. The Hillcats have now lost three straight series, including the first two of the second half. The Hillcats (2-5, 38-38) went 0-for-9 with runners in scoring position in the game, stranding nine runners including a bases loaded, no out situation in the bottom of the first. Their lone run came on a sacrifice fly by Elmer Reyes in the bottom of the ninth to score David Rohm. Jarett Miller struck out the side in order in the first and threw four scoreless innings before the Blue Rocks (4-3, 37-40) got to him for three runs in the fifth. After Miller got the first out, Tyler Chism tripled and was followed up by back-to-back singles from Ethan Chapman and Jack Lopez drove in the run. 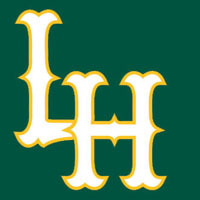 The two pulled off a double steal as Miller struck out Alex McClure for the second out of the inning, which set up Lane Adams for a two-run infield single. A slow-rolling grounder back up the middle kicked off Elmer Reyes’ glove and the Blue Rocks took advantage. Another seeing-eye single, this time off the bat of Jared Schlehuber, drove in another run off Miller in the sixth, which led to the end of his evening. Miller (5-5) gave up four runs on eight hits through 5.2 innings. He left with two runners in scoring position, who Matt Chaffee stranded with a strikeout of Chapman. Sam Selman (7-5) was effectively wild in his start for the Blue Rocks. He allowed just two hits but walked three and plunked two batters in five scoreless innings of work. Rohm led off the ninth inning with a groundball to shortstop that was bobbled, allowing him to reach. Shawn McGill followed with a double down the left field line to put two in scoring position. Will Skinner struck out then Reyes sailed a fly ball down the right field line that was caught in foul territory by Chism as he crashed into the railing down the foul line, allowing Rohm to waltz home. Matt Lipka laced a ball into right-center but was robbed on a diving catch by Adams to end the game.